Jan Siewert has been named Huddersfield Town's new head coach, but what credentials does the 36-year-old have as the club look to battle back from the brink in the Premier League? Huddersfield currently sit bottom of the Premier League, 10 points from safety, after just two wins in 23 matches. 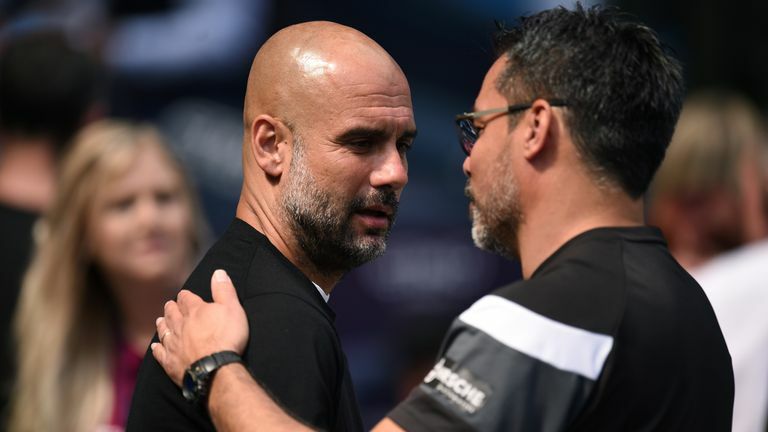 David Wagner had originally defied the odds in bringing Huddersfield to the top tier, and gained even more plaudits when securing survival in their first season in the Premier League. But with the German leaving by mutual consent last week in the midst of a difficult second campaign, the club have now turned to Borussia Dortmund's U23 coach Siewert. It means Siewert is following in the footsteps of Wagner, who held the same role at Dortmund from 2011 to 2015 before joining Huddersfield. Under Siewert, Dortmund II finished the 2017-18 season fourth in the Regionalliga West - part of Germany's fourth tier - with 15 wins, 10 draws and nine losses. The club currently sit fourth once more after 21 games played in the 2018-19 campaign. Before joining Dortmund, Siewert managed fourth-tier club Rot-Weiss Essen and was also assistant manager at Bochum, currently in the second tier. Siewert started his coaching career working with Germany's U17 and U18 sides. Siewert was a defensive midfielder, playing across Germany's lower leagues before retiring in 2009 to take up coaching. The highest level Siewert played at was for TuS Mayen in 2004. At the time, the club were in the fourth-tier Oberliga Sudwest. At the time of his Dortmund II appointment in 2017, Ingo Preuss, the sporting director of Dortmund's U23s, said: "In Jan Siewert we have appointed a young, ambitious coach who is a perfect fit for us thanks to his many years of experience at youth level. His objective is to take our talented youngsters one step closer to professional football and we believe he will do so." Huddersfield chairman Dean Hoyle revealed the club first spoke to Siewert more than two years ago, sounding the German out in case Wagner left for another side. Hoyle says Siewert "bears many similarities" to Wagner, but remains "his own man". "His reputation in the game is very good," said Hoyle. "He's known as a coach who is ambitious, has many qualities and who has strong philosophies… He is articulate, passionate and he has a huge ambition to be a success. "Many of his core philosophies and beliefs about how he wants his teams to play match our own. He likes high-effort, high-intensity, high-pressing football that is good to watch." Hoyle added that while the club will continue to fight for their Premier League status, the appointment was made with mid to long term in mind. "In the short term, we will continue to fight as hard as possible against relegation from the Premier League. We're not giving up on that," Hoyle added. "We will also plan for the medium and long term, whatever the outcome. Jan is committed to us and is excited to take on the challenges we have ahead, whatever they look like." Siewert has 15 games to try and close the 10-point gap on 17th-placed Newcastle. It's a tall order for a side with two wins and the worst goalscoring record in the league, but fans will at least hope to see Siewert's philosophy implemented before the likely challenge of a promotion push in the Sky Bet Championship next season. Siewert's first taste of Premier League football comes at home to Everton next Tuesday, with tricky ties to follow in February as they host Chelsea before travelling to Arsenal a week later.